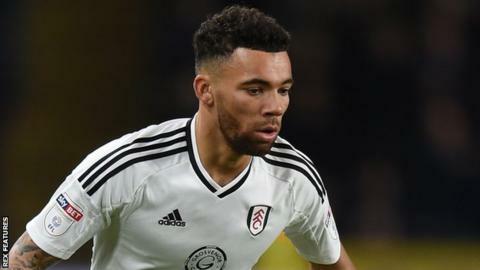 Swansea City are interested in signing Fulham right-back Ryan Fredericks. The 25-year-old is out of contract at the end of the season and could therefore be available for a reduced fee of around £3m. Fredericks is a fast, attacking full-back who has made 26 appearances in all competitions for Fulham this season. He started his career at Tottenham and had loans at Brentford, Middlesbrough and Millwall before a move to Bristol City which lasted less than a month. Fredericks left Ashton Gate after just 25 days in 2015 to join Fulham, where he has made 92 appearances. Swansea are in the market for a right-back, having failed to complete the deadline-day signing of Barnsley's Andy Yiadom in August 2017. The Swans' current right-backs are Kyle Naughton and Angel Rangel, who is out injured. They have since been linked with Augsburg's Ghanaian defender Daniel Opare, another who is out of contract at the end of the season. Fredericks' ability to play at left-back would also help Swansea, whose only senior specialist left-back at the moment is Martin Olsson.